The Whitehouse Ruskin Collection has been purchased through the generosity of The Education Trust Limited (ETL) and The Whitehouse Trust, along with support from the NHMF, The Art Fund, The Bowland Charitable Trust, the Garfield Weston Foundation, the Guild of St George, the Friends of the National Libraries, the Murray Family, The Aldama Foundation, The Pilgrim Trust and the John S Cohen Foundation. Brought together by educationalist and Liberal MP, John Howard Whitehouse, the Whitehouse Ruskin Collection contains thousands of items and provides an unprecedented insight into the life and work of John Ruskin and his circle of highly influential associates, including Edward Burne-Jones, William Morris and John Everett Millais. It is one of the most complete compilations of a single author’s works anywhere in the world. 1,500 drawings and 500 prints by Ruskin and by his associates including Edward Burne-Jones, John Everett Millais, William Henry Hunt, W.G. Collingwood, Arthur Severn, Susan Beever, Samuel Prout and others. 125 Daguerreotypes, including some of the earliest known images of the Alps and of Venice, and hundreds of photographs of historic landscapes, art and architecture, including items from Ruskin’s private collection. The collection will continue to be housed in Richard MacCormac’s award-winning building at Lancaster University, and on loan at Brantwood, Ruskin’s home at Coniston. Professor Sandra Kemp, Director of The Ruskin, said: “As the the pre-eminent art critic and social commentator of the Victorian era, Ruskin transformed the way we think about art. He also had an extraordinary ability to connect the social, the aesthetic and the scientific. Ruskin’s foresighted ideas laid the foundations of the National Trust and inspired social reformers, from Gandhi to the creators of the welfare state to modern environmentalists. The Ruskin – Library, Museum and Research Centre will explore how Ruskin’s ideas and work can unlock the pressing cultural, social and environment issues of today and tomorrow. The Ruskin will launch with an ambitious programme of events starting in Lancaster on 25 September 2019 with an exhibition “Ruskin – Museum of the Near Future”. Lancaster University purchased the Whitehouse Ruskin Collection for £8million. The National Heritage Memorial Fund contributed £2.3m. The Education Trust Ltd is an exempt charity and a registered society under the Co-operative and Community Benefit Societies Act 2014. 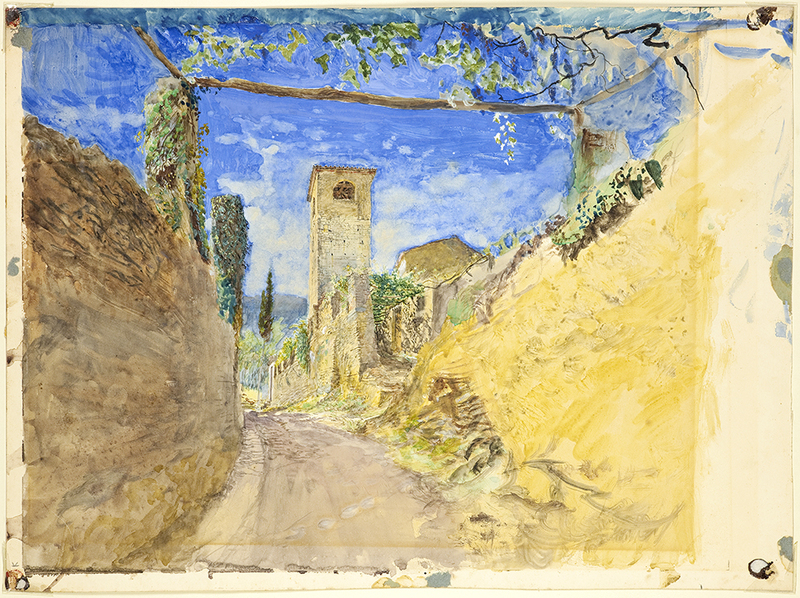 Prior to the transaction, the charity held a collection of artefacts relating to John Ruskin. Its charitable activities are focussed on education relating to the life and works of John Ruskin. The charity plays an important role in the preservation of Brantwood, John Ruskin’s home in the Lake District. The JH Whitehouse Trust is a charitable will trust that contained Ruskin’s diaries and other artefacts donated as part of the transaction. The Ruskin Foundation was founded in 1993, for the advancement of education of both the general public and scholars in the life and works of John Ruskin and associated subjects. Trustees comprise independent members together with members nominated by Education Trust Ltd. (ETL) and Lancaster University. Since 1995, the Foundation has had the legal care of the Whitehouse Ruskin Collection and the Whitehouse Will Trust Collection by means of a Bailment from the owners (ETL), with Lancaster University generously accommodating the works in the HLF-funded and award-winning Ruskin Library. Art Fund is the national fundraising charity for art. In the past five years alone Art Fund has given £34m to help museums and galleries acquire works of art for their collections. It also helps museums share their collections with wider audiences by supporting a range of tours and exhibitions, and makes additional grants to support the training and professional development of curators. Art Fund is independently funded, with the core of its income provided by 151,000 members who receive the National Art Pass and enjoy free entry to over 240 museums, galleries and historic places across the UK, as well as 50% off entry to major exhibitions and subscription to Art Quarterly magazine. In addition to grant-giving, Art Fund’s support for museums includes Art Fund Museum of the Year (won by Tate St Ives in 2018) and a range of digital platforms. Founded in 1931, Friends of the National Libraries saves our written and printed heritage through acquisition grants to national and regional archives, libraries and collections. The Guild of St George is an educational charity founded in 1871 by John Ruskin, devoted to the arts, crafts and the rural economy. It owns the Ruskin Collection given by Ruskin to the working people of Sheffield and now cared for and displayed at Museums Sheffield, and a land holding, Ruskin Land, with significant public access, in the Wyre Forest. The Guild also hosts and presents regular events, lectures, collaborations and projects in the UK and internationally, and publishes books and an annual magazine. Its collection is at the heart of Bicentenary exhibitions at Two Temple Place (until 22 April) and Sheffield’s Millennium Gallery (from 29 May). More at www.guildofstgeorge.org.uk.